The Memorial Union is a continuing memorial to Iowa State men and women who have served the United States in armed conflicts. The Union was first occupied in 1928 and additions were completed in 1939, 1952, 1958, 1965 and 1967. The Col. Harold Pride Lounge is named in honor of Harold Pride, who served as the Union Director from 1928 to 1959 and was Secretary of the Union Corporation from 1922 to 1972. Harold Pride was a colonel in the U.S. Army serving in both World War I and World War II. He often was called “Mr. Memorial Union” due to his long tenure as Union Director and Secretary of the Union Corporation. (Harold Pride was a 1917 graduate in Civil Engineering and initiated into Tau Beta Pi as a student by Iowa Alpha). In addition, Charles Durham, an Iowa Alpha initiate and 1939 Civil Engineering graduate has the Great Hall named in his honor. Maurice J. Riggs, President of the Iowa State Alumni Association from 1920 to 1925 and President of the Memorial Union Corporation from its inception in 1923 until 1925. An Iowa State graduate in Civil Engineering in 1883, he provided an early vision of the Memorial Union and impetus for a one million dollar fund raising effort to finance its construction. 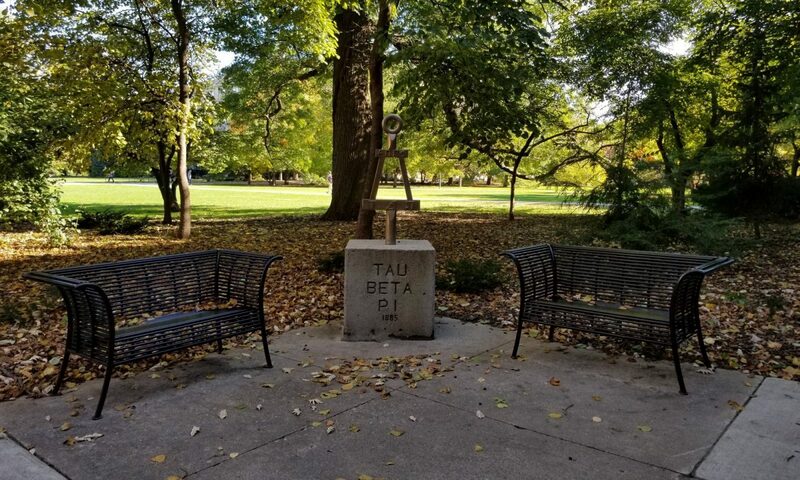 Maurice Riggs was initiated into Tau Beta Pi by Iowa Alpha as an Iowa State Alumnus. In his book Iowa State Memorial Union – The First Fifty years, Harold Pride credits Anson Marston and Thomas Agg with having “saved the project from early disaster and brought an idealistic dream to reality”.